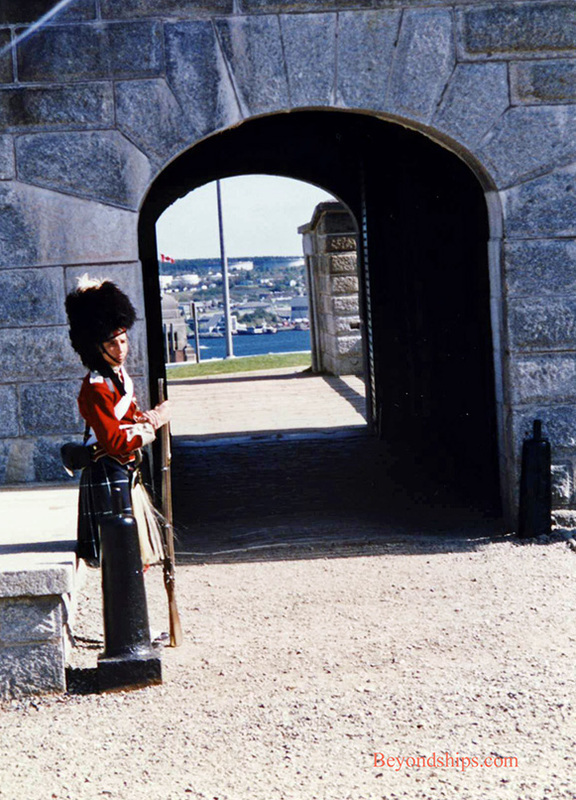 (The Citadel, Public Garden and Peggy's Cove). Signal masts atop the Citadel were used to communicate the arrival of ships entering the harbor. At the top of the hill is the Citadel, a great star-shaped stone bastion. 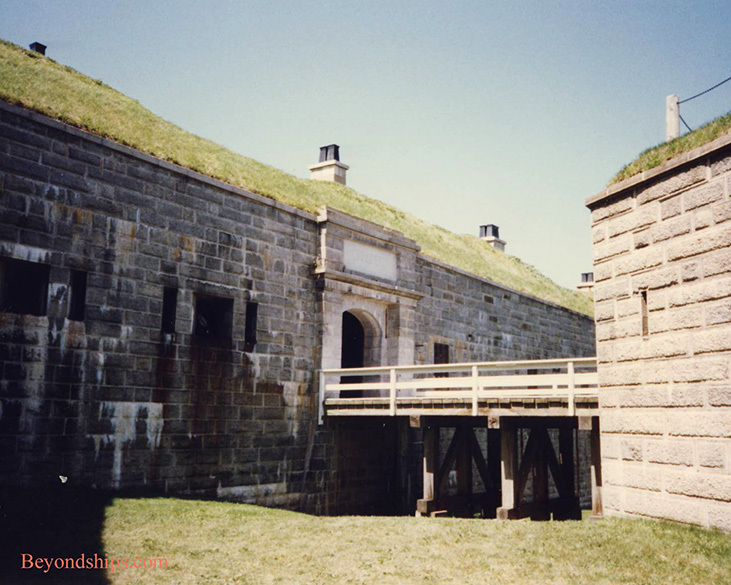 There have been forts on this site since 1749 but the current fortress was constructed in 1856, primarily to defend the port against a possible American invasion. 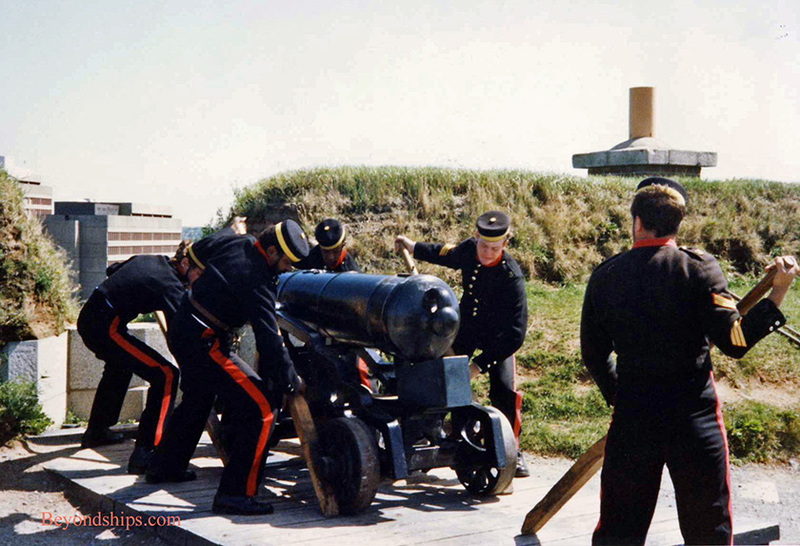 Today, the fortress is operated by Parks Canada as the Halifax Citadel National Historic Site. It has been restored to the way it was in Victorian times. Re-enactors dressed as members of the 78th Highland Regiment put on military displays. 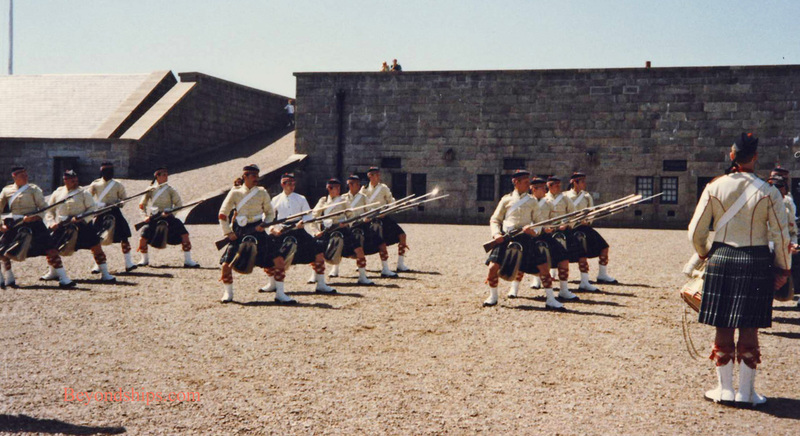 Similarly, 19th Century Royal Artillerymen shoot off a large canon each day at noon. 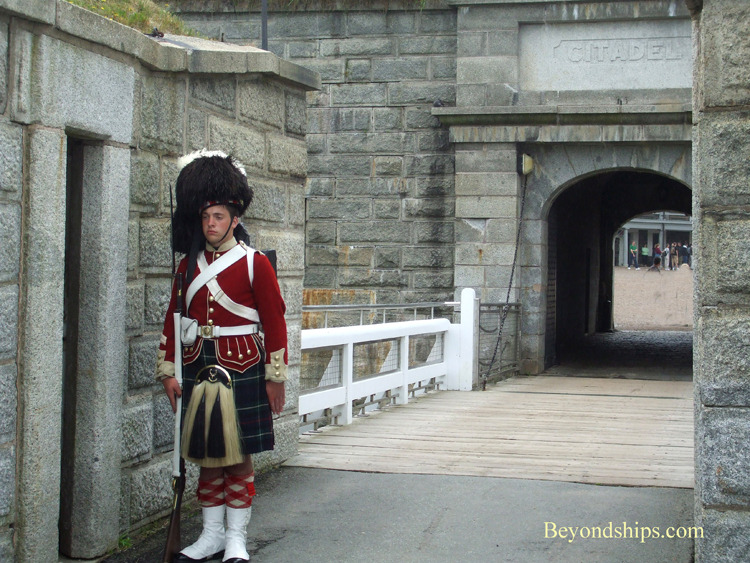 Inside the Citadel, you can also explore the barracks, the tailor shop, the guard room and other buildings used by the soldiers stationed at the Citadel. Re-enactors playing soldiers' wives show what life was like for the families living there. You also can visit the Army Museum with exhibits and artifacts relating to the Canadian Army and to the British Army in Canada. There is also a cafe and a shop. If one is still in a Victorian mood, on the other side of the hill below the Citadel is the Halifax Public Gardens. Started in 1867, this 16-acre Victorian-style park includes fountains, duck ponds and formal floral displays. Not everyone who comes to Halifax confines their visit to the city proper. One very popular excursion is the Lighthouse Route along the province’s south shore. This takes you through forests, old fishing towns and rocky shoreline. 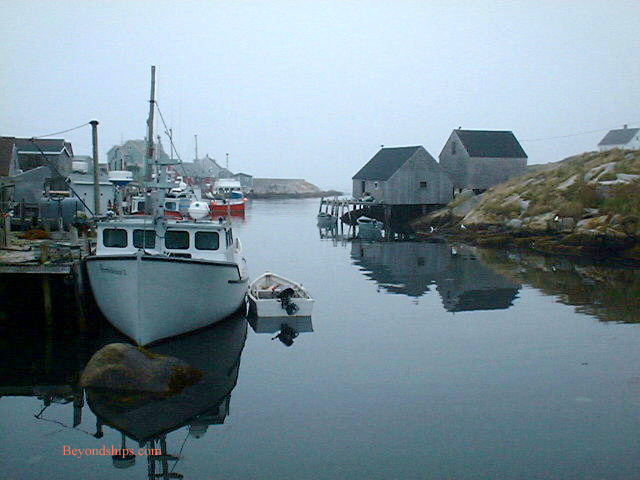 The most popular stop is Peggy’s Cove. Set on a rocky shore and dominated by a lonely looking lighthouse, the small village looks like an artist’s rendition of an idealized maritime village. A lighthouse perched on a rocky outcrop is a focal point. Because of its beauty Peggy's Cove is included on many excursions and can become rather crowded with visitors.